We want to help you make self-storage simple. 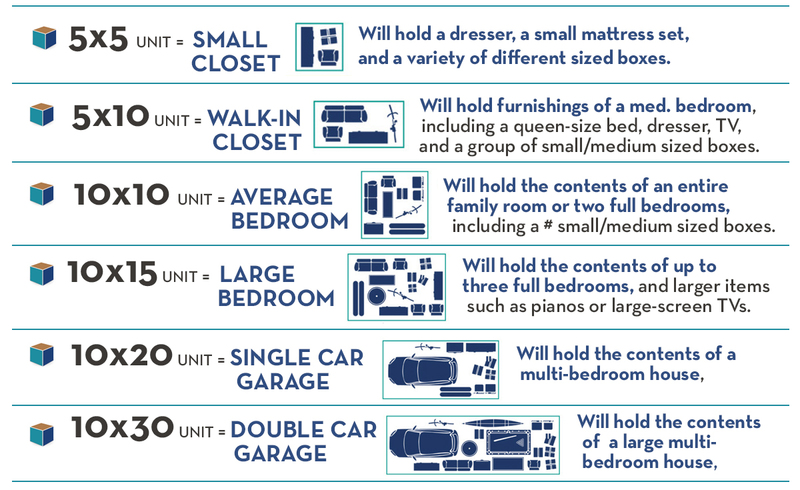 This chart displays the most common self storage sizes. Be sure and contact a onsite manager for recommendations on sizes to fit your needs.